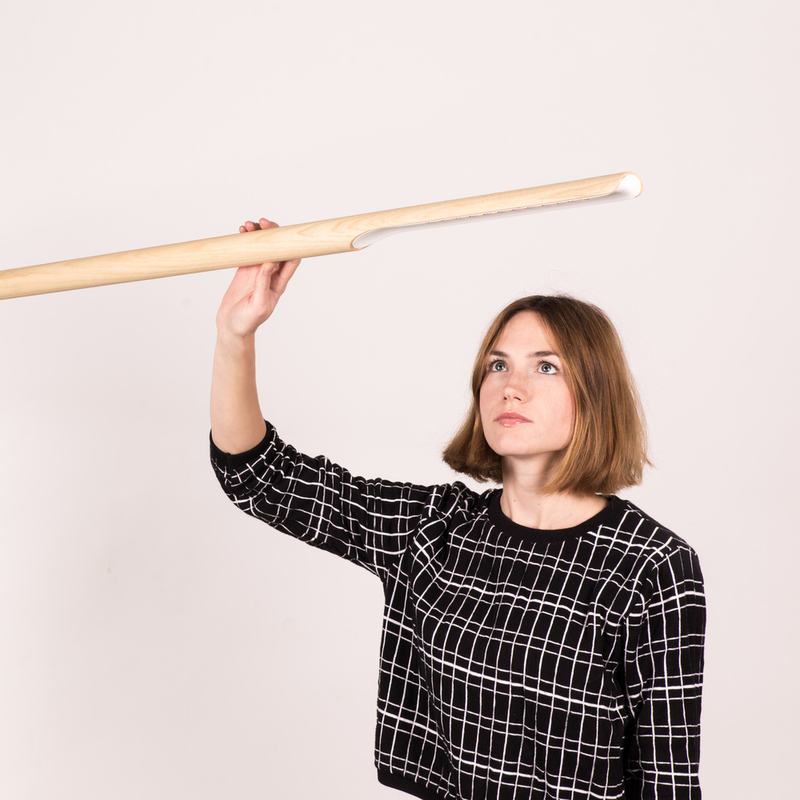 We are very happy to finally present our huge swing arm lamp Woodpecker! After the introduction of the product at Maison & Objet Paris, the lamp is now available on our website. Using high power LEDs and made of ash wood and metal, the lamp appears as a perfect synthesis of tradition and innovation. The material combination of wood and metal gives the lamp a naturalness and comfort, so that it is especially good to use in in the living room or in workspaces. Completely reduced to essential forms and functions, the Woodpecker appears as a simple line, attached to the wall and extending into a room. The minimalism of the product is clearly reflected in the lamp: An LED bar allows an extreme simplification of the design. Thus, the lamp carries a high degree of innovation, without being futuristic or industrial.